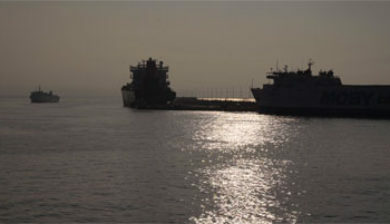 is a merchant vessel used to carry passengers, and sometimes vehicles and cargo as well, across a body of water. 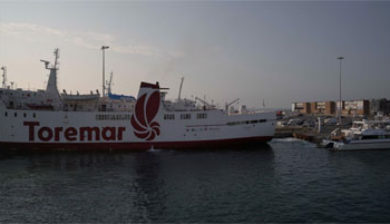 Most ferries operate regular return services. 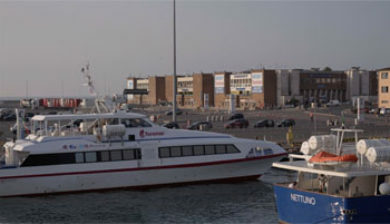 A passenger ferry with many stops, such as in Venice, Italy, is sometimes called a water bus or water taxi. 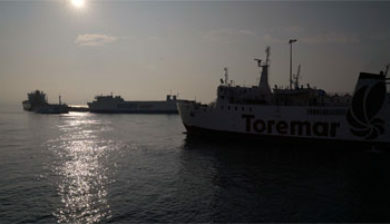 Ferries form a part of the public transport systems of many waterside cities and islands, allowing direct transit between points at a capital cost much lower than bridges or tunnels. 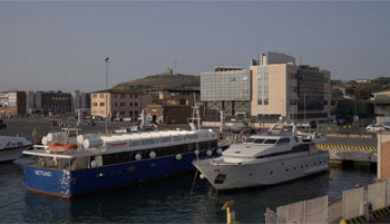 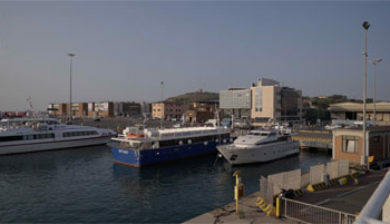 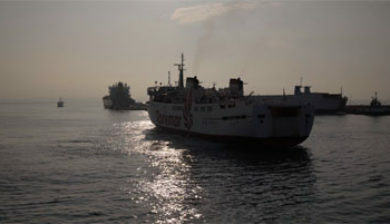 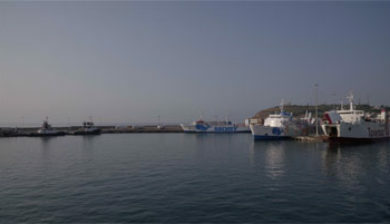 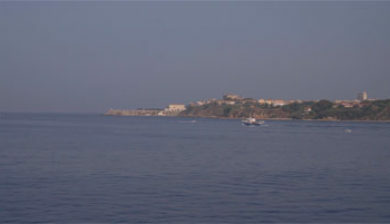 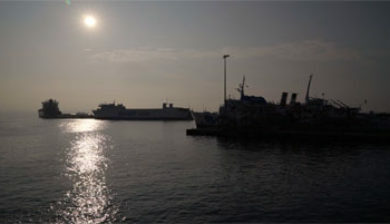 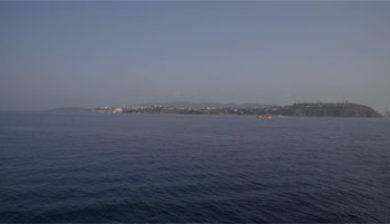 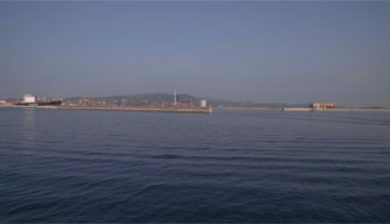 However, ship connections of much larger distances (such as over long distances in water bodies like the Mediterranean Sea) may also be called ferry services, especially if they carry vehicles.